Teacher Day is a great event when thousands of people honor their educators and acknowledge the important role that teachers play in providing pupils and students with quality educational services. Read this checklist to learn more about celebration ideas and activities. It is an international holiday in most countries. World’s Teacher Day is celebrated on October 5 annually since 1994. It is a great date when teachers receive greetings, gifts and thanks from students and parents. It is an opportunity for students to thanks their educators for the role they play in providing knowledge and sharing education practice. It is an opportunity for parents to show how they value teachers who educate children and provide educational services. Use paper sheets, pencils and glue to make a doorplate and hang it near each classroom entrance in order to salute, by name, the teacher within. 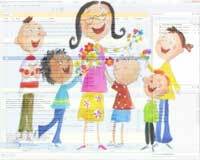 Write a letter to teachers to express wishes and describe favorite memories. Give a cup of coffee for every teacher in the holiday’s morning. Give teachers candies, apples or other food gifts with appropriate cards attached. Draw a picture that portrays an important memory. Learn several favorite poems by heart and read them to teachers. Students can also sing favorite songs. Prepare grateful speech to welcome teachers when they arrive at the entrance of the school. Use cardboard and gold foil to make a gold star with each teacher's name upon it. Greet teachers when they arrive at the entrance of the school. Assist teachers with the set-up and clean-up of the area. 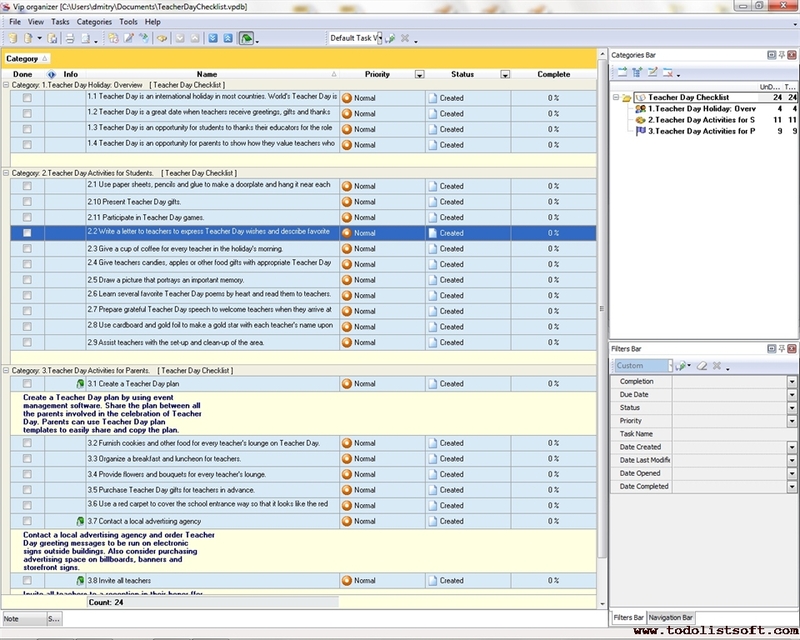 Create a plan by using event management software. Share the plan between all the parents involved in the celebration. Parents can use templates to easily share and copy the plan. Furnish cookies and other food for every teacher’s lounge on Teacher Day. Organize a breakfast and luncheon for teachers. Provide flowers and bouquets for every teacher’s lounge. Purchase gifts for teachers in advance. Use a red carpet to cover the school entrance way so that it looks like the red carpet at a movie premiere. Contact a local advertising agency and order greeting messages to be run on electronic signs outside buildings. Also consider purchasing advertising space on billboards, banners and storefront signs. Invite all teachers to a reception in their honor (for example, the mayor organizes celebration in the City Hall – some parents can be volunteers who send invitations to teachers). Contact people who have left the school and encourage them to write a letter to their former teachers.